People of all faiths and races have a reason to rejoice today as a new treaty that will regulate the $85 billion global trade in arms and ammunition enters into force this Christmas eve. After more than a decade of campaigning by thousands worldwide, the Arms Trade Treaty (ATT) will become international law at last. This may provide small solace to the mothers and fathers who today weep for their children who have been senselessly and brutally gunned down in schools and on playgrounds, in their homes and in movie theaters, as they prayed or slept. It will likely not provide comfort tonight to the families who mourn their parents, sisters and brothers, aunts and uncles, who have been slaughtered by those wielding small arms in vicious acts of terror. Let us hope, however, that it is a glimmer of light for them and others around the world, to help us begin to renew our humanity, commitment to nonviolent resolution of conflicts, and the fair and honorable treatment of all people. Let the ATT not be just a treaty, but a path to peace. IPPNW has been a leading medical voice for the treaty as a public health imperative (see The Arms Trade Treaty (ATT): A Public Health Imperative by IPPNW authors in the Journal of Public Health Policy) and has worked closely with the Control Arms Coalition to help make this treaty a reality. IPPNW participated in a 1997 meeting of Nobel Peace Prize laureates who called for an International Code of Conduct to address the “destructive effects of the unregulated arms trade.” It marked the beginning of a sixteen year global effort to regulate the international trade in conventional weapons. It culminated in an overwhelming 154-3 vote to adopt the ATT at the United Nations General Assembly on April 2, 2013. IPPNW and other medical and public health institutions, including the World Health Organization (WHO) and the International Committee of the Red Cross, have prioritized the ATT adoption as a public health necessity. It was one of the nine major recommendations of the 2002 WHO World Report on Violence and Health,“to seek practical, internationally agreed responses to the global drugs trade and the global arms trade.” This need was underscored recently in the WHO 2014 Global Status Report on Violence Prevention which revealed that about half the world’s murders are committed with firearms. 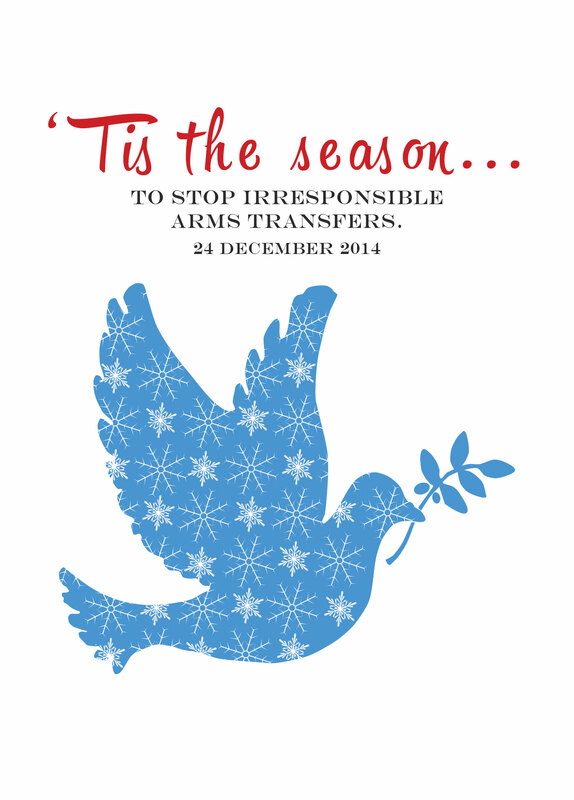 The poorly regulated annual trade in conventional arms fuels conflict, with devastating effects on global health. The ATT aims to “reduce human suffering,” and prohibits arms’ sales if there is knowledge they would be used in the commission of genocide, attacks against civilians, or war crimes. The treaty aims to set the highest standards for cross-border transfers of arms and ammunition and to cut off the supply of weapons to dictators and human rights abusers across the world. It is one of the fastest multi-lateral arms agreements to enter into force. To date, 130 states have signed and 61 have ratified the ATT. If rigorously implemented, a robust ATT has the potential to help: prevent the misuse of arms and thus reduce resultant deaths and injuries; reduce the diversion of resources from vital social services such as public health and social development that currently flows to arms management, security, and defense; and emphasize primary prevention of armed violence, as well as secondary and tertiary prevention. The medical community can help measure and monitor abuses, and improve care and rehabilitation for victims of armed violence. Our Health Professionals Guide to the ATT is available to help members work within their own countries for ratification and comprehensive implementation of the treat. Informal discussions between governments who have ratified the treaty have been taking place this year to prepare the ground for implementation of the treaty. The next round of discussions is due to take place in Trinidad and Tobago, in February 2015. Planning is also underway for the treaty’s first Conference of States Parties at the United Nations in New York City, where states will meet to assess progress on implementation. This is expected to take place during late-August/early-September next year.